Miss Emma (pictured) is our one of our top design specialists and Director of Lounge Wear. She is featured wearing "Aunt Bette's Cardigan" Sweater! 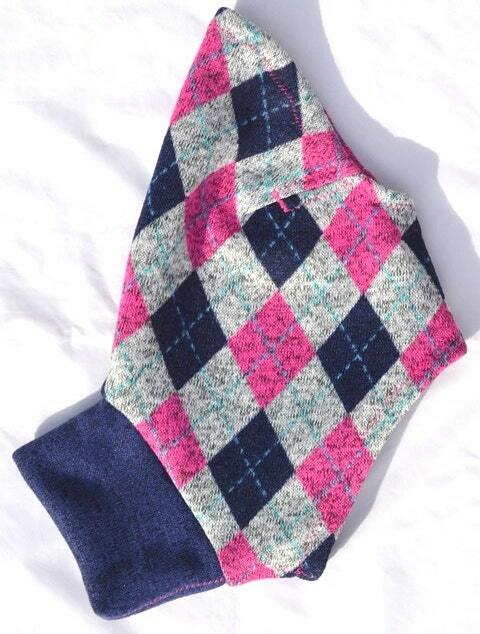 The sweater fleece fabric is perfect for hanging around the house or running out to get the mail. 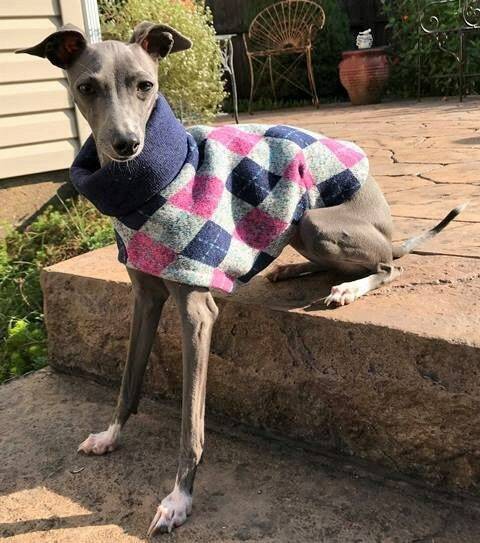 Sweater fleece fabric is soft and a little heavier than no pill fleece and has stretch to it for your hound's comfort. 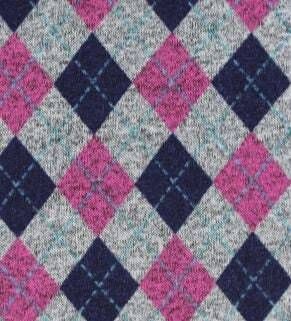 The argyle pattern is a grey background with fuchsia pink and dark blue diamonds - a beautiful combination. The mock turtle neck is made of the same sweater fleece as the bodice in a dark blue with tiny black specks. 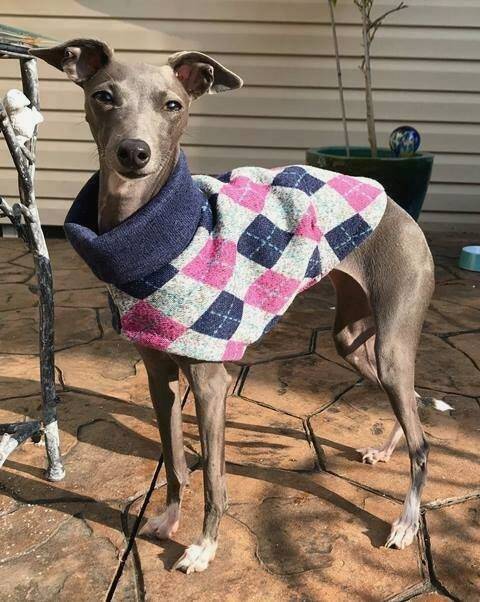 Remember this is a sweater. 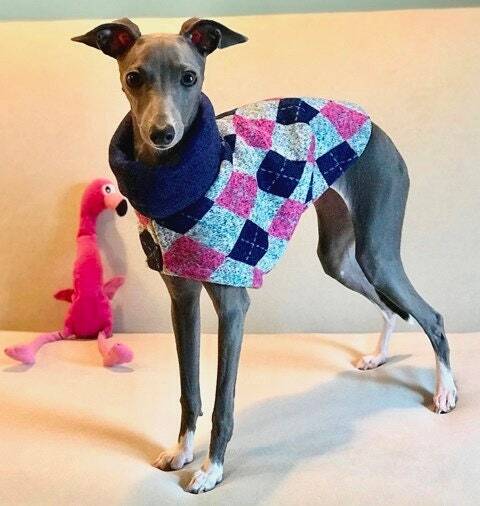 It is made to be a little shorter and the trim lines stop around the front of your hound’s thigh. It does not cover the rear. 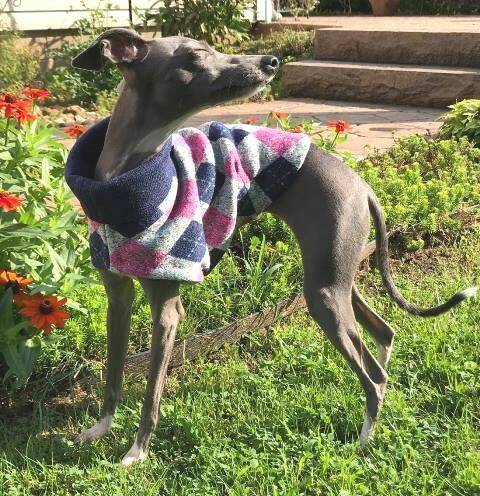 This will be your hound’s favorite sweater...just like Aunt Bette! 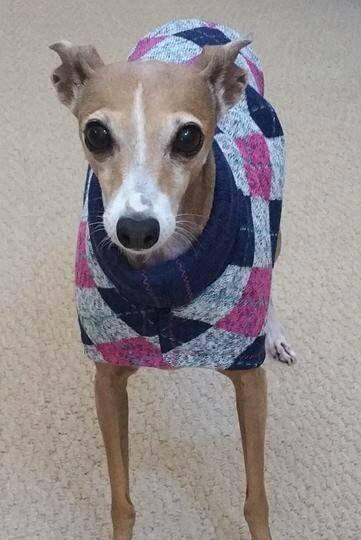 Miss Emma would be happy to answer any questions you may have about this sweater. One note....Fridays are her regular spa days, so she may be unreachable for a few hours int he afternoon. All of this running up and down the halls takes it's toll on a girl's toe toes! S/M = Girth up to 18 inches (largest part of chest). 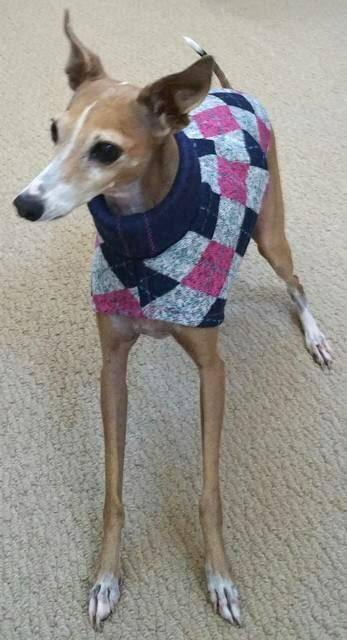 Length is 10 inches (base of neck to base of tail). M/L = Girth up to 21 inches (largest part of chest). 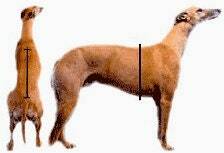 Length is 11 inches (base of neck to base of tail).